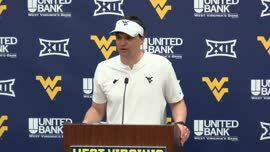 Neal Brown’s first spring practice season is now complete. What did we learn? 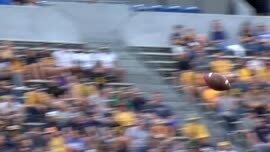 It’s obvious Mountaineer Nation is intrigued by their new head coach as the third largest attendance in spring game history was recorded. But what about next season’s team? It’s clear the search continues for playmakers to offset the graduation losses of five players who will likely be drafted later this month. 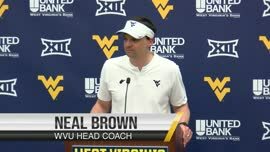 Brad Howe, Hoppy Kercheval and Tony Caridi discuss the implications of Saturday’s game and what it means heading into the off-season. 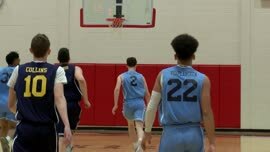 The fellas also give their take on Sunday’s appearance by WVU basketball signees Oscar Tshiebwe and Mile “Deuce” McBride in the Scott Brown Memorial all-star game. Listen on iTunes, Google, Spotify. 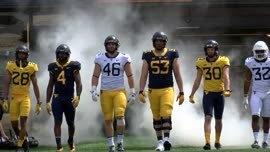 The guys will be joined by WVU linebacker David Long on their next episode later this week.